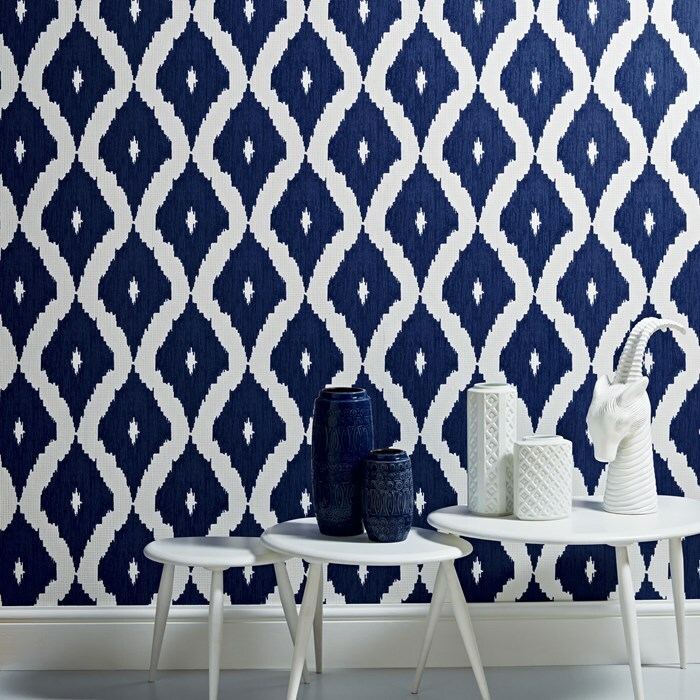 If you want to add a bit of colour, style and pattern to a room, a feature wall is a great start. 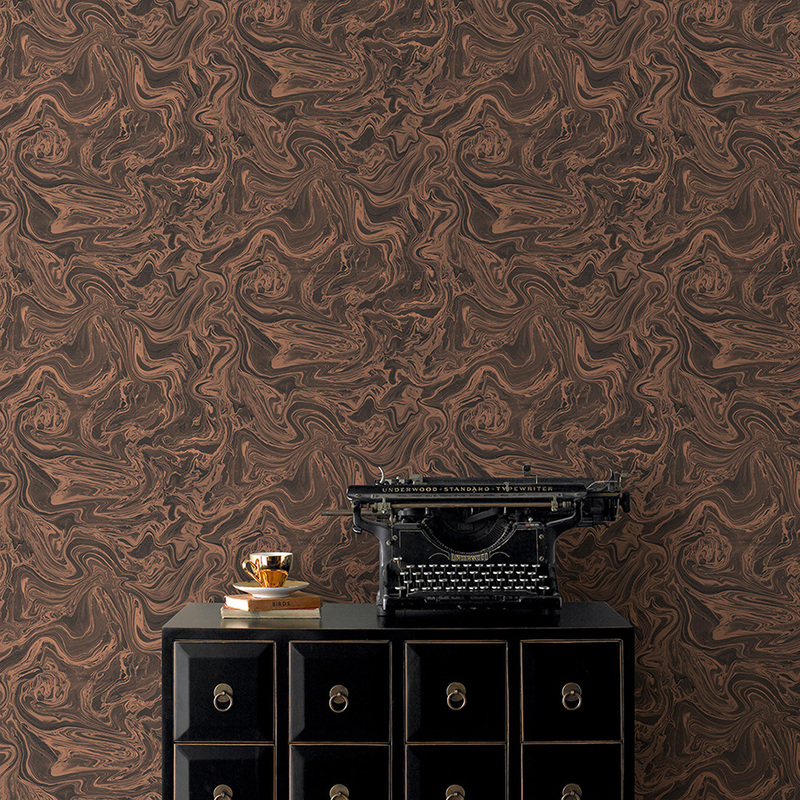 When choosing feature wallpaper, be sure to choose something that’s bold and eye-catching. Using a very soft or muted palette or pattern will create a lovely backdrop but will always look it’s best if used on all four walls. So when choosing feature wallpaper, ensure that one wall really makes a statement and creates a focal point in your space. Which wall will you choose? Consider the wall that is first visible when you walk into the room or the wall that you want to draw the most attention to - so perhaps the chimney breast to highlight the fireplace or the wall behind your bed. 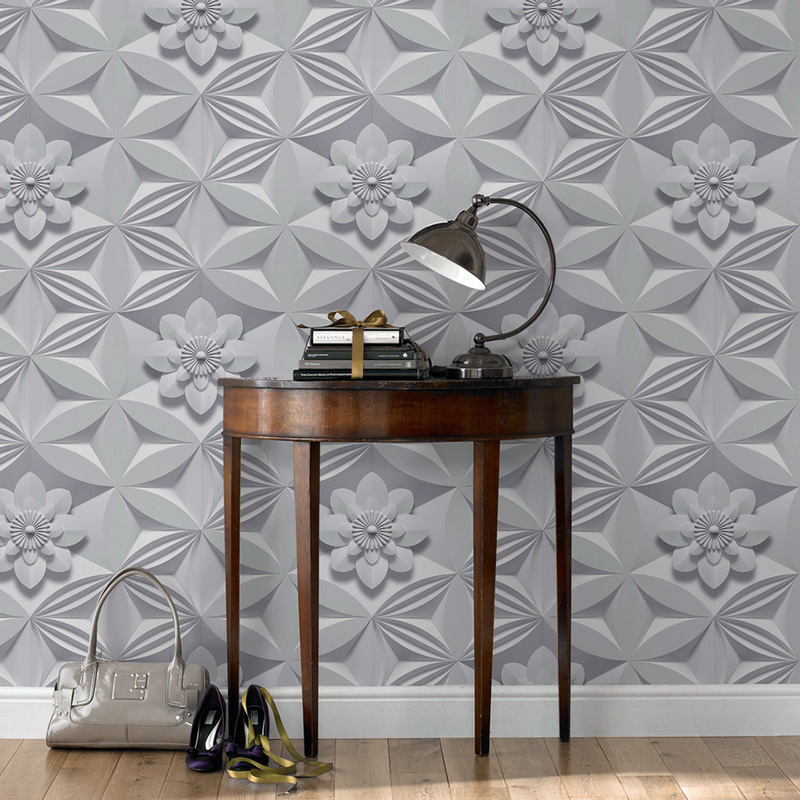 Your wallpaper will be making a lot of noise in the room – in a good way! So be sure it focuses on the main feature in the space. Once you’ve narrowed down your choice, it’s time to get started on wallpapering. If you’ve never hung wallpaper before, however, it can be a bit of a daunting prospect. How exactly do you wallpaper a feature wall? Well, the good news is that it’s much easier to wallpaper only one wall rather than an entire room but you will need to ensure you have the right tools and your wall is properly prepped before you get started. With our paste-the-wall technology, hanging wallpaper has never been easier. This means the wallpaper does not need to be pre-soaked with the wallpaper paste prior to hanging. It doesn’t expand with the glue and therefore, the whole job is much quicker. Have questions about our paste the wall products? 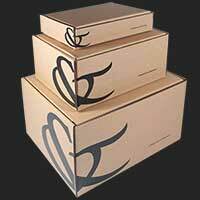 Check out our FAQ here. Ensure your walls are clean by using a damp sponge to gently wash off any dust or dirt. If you have grease or wax on the walls, you’ll want to wash these with a sugar soap or vinegar solution. Once the walls are sufficiently clean and dry it’s time to start. First find the centre of your wall as this will be where the first drop of wallpaper will be placed. Divide the width of the wallpaper in half and mark that point to the left or right of your centre mark. Now using the level, create a plumb line to intersect with this second mark. This will be where you will want to align the edge of your wallpaper, ensuring it is straight as well as centred on the wall. Using your roller, apply a generous amount of wallpaper paste to the area where the paper will go. Don’t be tempted to apply to the entire wall as the glue will start to dry before you are able to hang it so it’s best to work in segments of one drop at a time. Ensure that section of the wall is completely covered with paste and be sure to go a little over where the wallpaper will hang so that the entire drop will be pasted down properly. Overlap the top of the roll to the top of your wall by a couple of inches. This ensures that if the wall isn’t entirely straight (and they seldom are! ), you will not have any issues as you continue to hang the wallpaper along the wall. Unrolling the wallpaper along the wall around a foot at a time, smooth the wallpaper from the top down with your hands to start with and then if any bubbles start to form, gently push these out to the edges of the paper with the smoothing brush. Continue to unroll, stick down and smooth out as you go. If any glue gets on the front of the paper itself, use a damp sponge to remove the excess from the paper before it dries. Continue to work your way down to the bottom of the wall and trim the paper when it reaches the bottom of the wall. For the next roll, you want to ensure that the pattern lines up so it may mean there will be a bit you may need to cut off from the top of the roll. Butting it against the previous drop, ensure the pattern is straight and is lined up perfectly with the paper to the side of it. Again, once it’s in place, you’ll want to smooth out any bubbles as you go as before. Repeat the steps above until you reach the bottom of the wall. Continue with this method, hanging each drop until the wallpaper reaches the end of the wall. At the end, be sure to overlap the wallpaper again with the wall to the side of it and then using a sharp knife, cut the paper along the corner so that you have a nice sharp edge. Once you have reached one side of the wall, you can then continue on the other side until the entire wall is wallpapered. You may not want to trim away any excess until after the paper dries a little as the knife may drag or rip the paper while it is still very damp. Once the paper is trimmed, go over the entire surface with a damp clean sponge to remove any excess glue, rinsing the sponge as you go. If your wallpaper is flocked, however, be sure not to get any paste on the flock itself as you will be unable to remove the wallpaper paste easily. And that’s it! You now are the proud owner of a fabulous feature wall! That wasn’t so hard, was it? 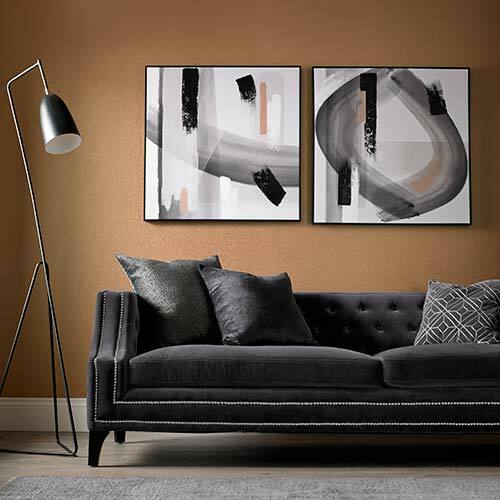 Still not made on a decision your feature wall print? 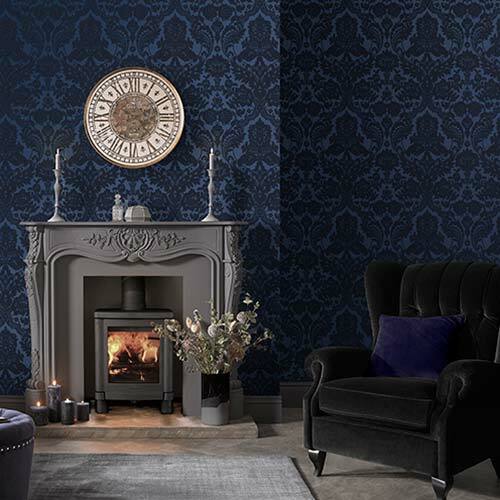 Browse our vast range of wallpaper suitable for both the bedroom and living room.